Part of the huge American personal care and appliance company, Conair, Babyliss products have been around for long enough for them to have cemented their reputation into our minds. Experts in personal care products, Babyliss have a huge range of hair appliances and constantly work on new technologies. This curling wand has five temperature settings which is an good amount and gives you much more control than many curling wands. The top temperature is 210˚c which is easily enough to get even the most stubborn hair into submission and the lowest temperature is 150˚c which is ideal for fine and delicate hair. This Curling Wand Pro features BaByliss’ Wrap Control™ technology that manages to hold the hair easily in place without the use of a clamp. This is actually a pretty cool addition and makes curling just that bit easier. The ceramic coating is smooth and heats up within 30 seconds, providing curls in an instant. There’s no need to hold your hair around the barrel for long and this must reduce heat damage. The 2.5 metre swivel cord is a good length for flexibility and convenience. It’s long without getting in your way and it swivels easily as you curl. There’s no snagging or pulling with this wand and it has a cool tip. 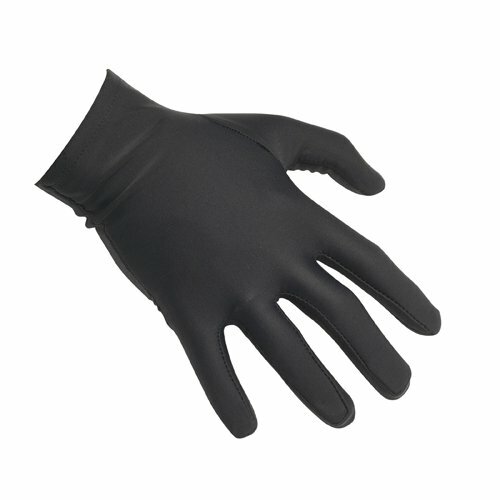 The protective glove that’s included means you can confidently use the wand without fear of burning yourself. Although this curling wand does have an auto shut-off, it’s at 72 minutes which is a pretty long time. No one is going to be curling their hair for very long and so if you forget to switch them off, it will probably be a reasonable length of time before they do so themselves. Still, the tong shouldn’t directly touch the floor if laid down and there’s obviously dose of common sense required when using anything that can heat up. A good length barrel means that long hair will curl just as well as shorter hair and thanks to the single cone shape, you shouldn’t get any unsightly kinks. This wand is actually really easy to use and so flexible with its range of heat settings. BaByliss quote 5-8 seconds to hold the hair in place before releasing and this seems about right for brilliant curls. With the silicone Wrap Control™ technology stopping hair from slipping as you curl it, this feature alone really appeals. The five temperature settings are a great addition too and this has to be one of the best curling wands out there at the moment. It’s so easy to use and has clearly been designed for total customer satisfaction. It’s hard to find fault with it and although the auto shut-off length is weirdly long, all you need is to use common sense and it should never concern you. Without a clamp, there’s no snagging or frustration and it produces curls in seconds. The 3 year guarantee and extremely affordable price make this a real favourite.